Wow! Pandora's Tower is coming to the U.S. this spring, courtesy Xseed Games, the small publisher that brings all sorts of niche Japanese games to North America. Pandora's Tower is an action-RPG for Wii, and the third member of the three games requested by Operation Rainfall, a fan campaign designed to get Japanese Wii RPGs to America. The other two games: Xenoblade, released by Nintendo last year, and The Last Story, also released by Xseed last year. That makes Op Rainfall three for three. 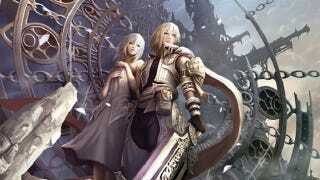 "It's fantastic to be bringing such a highly-anticipated title like Pandora's Tower to such a vocal fan base," Xseed CEO Shinichi Suzuki said in a press release. "North American gamers have been very patient in waiting for this game to be released, and we're confident they will be pleased when they get their hands on the title."